Military to the Mountains is a program for disabled veterans that pairs a nine-week training program with a week of skiing or snowboarding at Squaw Valley Alpine Meadows, with a goal of improving physical and mental health through mountain sports. 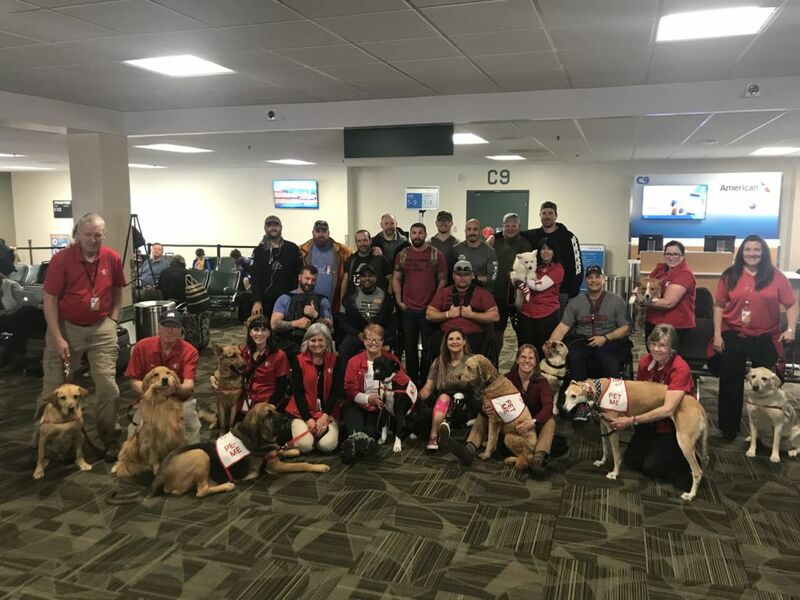 Our Paws 4 Passengers group was able to meet them upon their arrival at the Reno-Tahoe International Airport (RNO) on March 17, 2019 as well as their departure on March 23, 2019. We were fortunate to be able to get this group photo and honored to be able to be a part of their time in Reno!